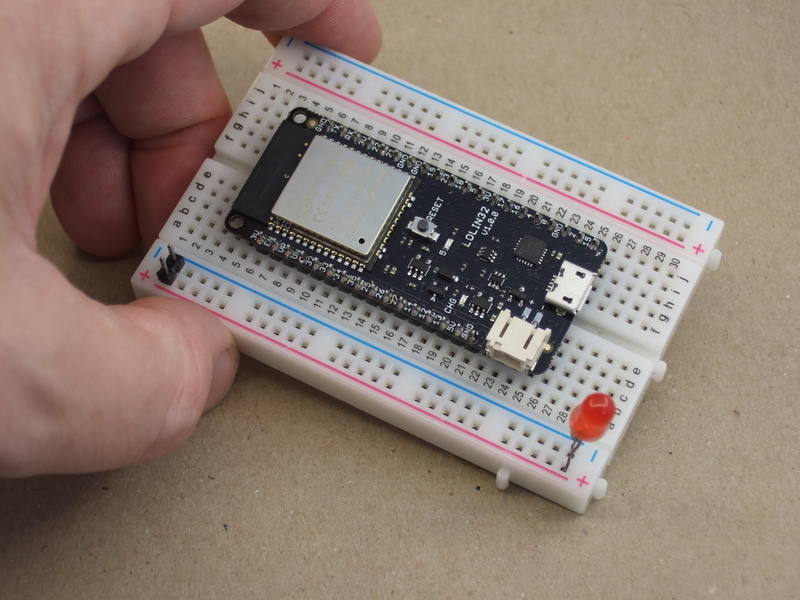 We’re all familiar with the wide variety of Arduino development boards available these days, and we see project after project wired up on a Nano or an Uno. Not that there’s anything wrong with that, of course, but there comes a point where some hobbyists want to move beyond plugging wires into header sockets and build the microcontroller right into their project. That’s when one generally learns that development boards do a lot more than break the microcontroller lines out to headers, and that rolling your own design means including all that supporting circuitry. To make that transition easier, [Sean Hodgins] has come up with a simple Arduino-compatible module that can be soldered right to a PCB. Dubbed the “HCC Mod” for the plated half-circle castellations that allows for easy soldering, the module is based on the Atmel SAMD21 microcontroller. With 16 GPIO lines, six ADCs, an onboard 3.3 V regulator, and a reset button, the module has everything needed to get started — just design a PCB with the right pad layout, solder it on, and surround it with your circuitry. Programming is done in the familiar Arduino IDE so you can get up and running quickly. [Sean] has a Kickstarter going for the modules, but he’s also releasing it as open source so you’re free to solder up your own like he does in the video below. It’s certainly not the first dev module that can be directly soldered to a PCB, but we like the design and can see how it would simplify designs. [Sean] as shown us a lot of builds before, like this army of neural net robots, so he’ll no doubt put these modules to good use. Programmable logic devices have claimed their place in the hobbyist world, with more and more projects showing up that feature either a CPLD or their bigger sibling, the FPGA. That place is rightfully earned — creating your own, custom digital circuitry not only adds flexibility, but opens up a whole new world of opportunities. However, this new realm can be overwhelming and scary at the same time. A great way to ease into this is combining the programmable logic with a general purpose MCU system that you already know and are comfortable with. [Just4Fun] did just that with the CPLD Fun Board, a development board connecting an Arduino compatible STM32F103 Cortex-M3 controller to an Altera MAX II CPLD. The PCB itself has some standard development board equipment routed to the CPLD: LEDs, buttons, a seven-segment display, and additional GPIO. The rest of the CPLD’s pins are going straight to the STM32 and its SPI, I2C and UART pins. Let’s say you want to create your own SPI device. With the CPLD Fun Board, you can utilize all the pre-existing libraries on the STM32 and fully focus on the programmable logic part. Better yet, every connection from MCU to CPLD has its own pin header connection to attach your favorite measurement device for debugging. And in case you’re wondering — yes, you can attach external hardware to those connectors by setting either MCU or CPLD pins to Hi-Z. The downside of all this is the need for proprietary design software and a dedicated programmer for the CPLD, which sadly is the everyday reality with programmable logic devices. [Just4Fun] did a great job though writing up a detailed step-by-step tutorial about setting up the environment and getting started with the board, but there are also other tutorials on getting started with CPLDs out there, in case you crave more. If you’ve been following the chip’s development, you’ll know that the first spin of ESP-32s had some silicon bugs (PDF) that might matter to you if you’re working with deep sleep modes, switching between particular clock frequencies, or using the brown-out-reset function. Do the snazzy new, $8, development boards include silicon version 0 or 1? Read on to find out! It’s a good thing that a ridiculous pun and a screenprint of Jean-Luc Picard on the bottom of the board is enough to qualify for the 2017 Hackaday Sci-Fi Contest, because [bobricius]’s Python-plus-Arduino card and environmental sensor potpourri is very cool. The PCB design itself is great. It’s got a gigantic LED array, cutout for a wrist strap, and an onboard USB plug so you can program it just by sticking it in your computer; it shows up as a USB mass storage device when you plug it in. The files that show up on the “drive” are Micropython code that you can edit, save, and then run directly on the device. You can hardly beat that for convenience. And there’s a full complement of sensors: not one but two temperature and humidity sensors, including our recent favorite BME280, which also reads barometric pressure. (We suspect that makes it a tri-corder.) There’s a real-time clock, a buzzer, and some buttons. Want to add more sensors? I2C ports are broken out for your convenience. Besides having Star Trek flair, this board would give the various educational platforms a run for their money: Micro:bit, we’re looking at you. Very cool indeed!